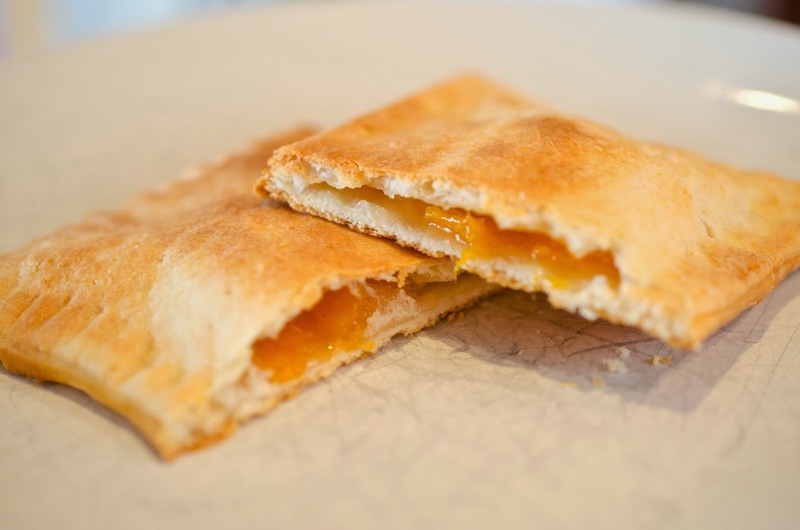 A long time ago, wives would cook small amounts of pre-cooked meats and fruits inside a biscuit like crust called pocket pies. In 1963, Post Cereal company announced a new product to compliment their cereal, Pop Tarts. Pop Tarts being the commercialized version of the the pocket pie. 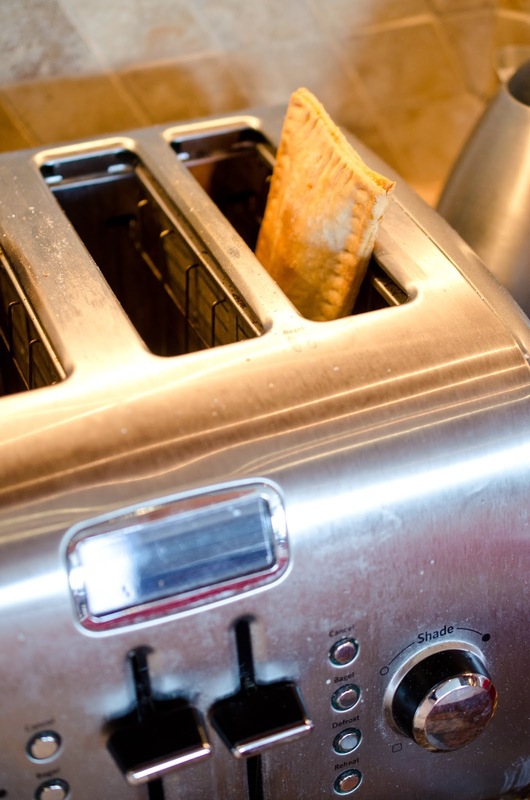 I remember having Pop Tarts when I was a kid and thinking these are so cool, a breakfast food you heat up in a toaster. One of my favorite shows is Good Eats with Alton Brown. He had an episode on Pocket Pies. That was when I learned Pop Tarts aren't very yummy, but the homemade pocket pies are really delicious. My daughter Haley asked me to make Pop Tarts today, she meant pocket pies. As a child my family was blessed to have an apricot tree. 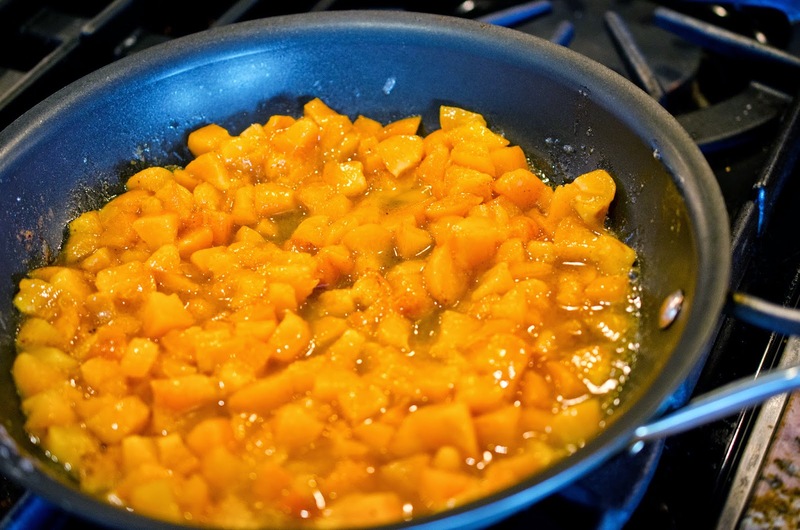 While we had an apricot tree we had sweet ripe delicious apricots that my dad made into jam. Apricots are a fruit best picked when ripe. They don't ripen off the tree, sadly. Another sad fact, I have come to realize, not accept mind you, is that the produce sold here in Queens is not as good as the produce I bought in California. 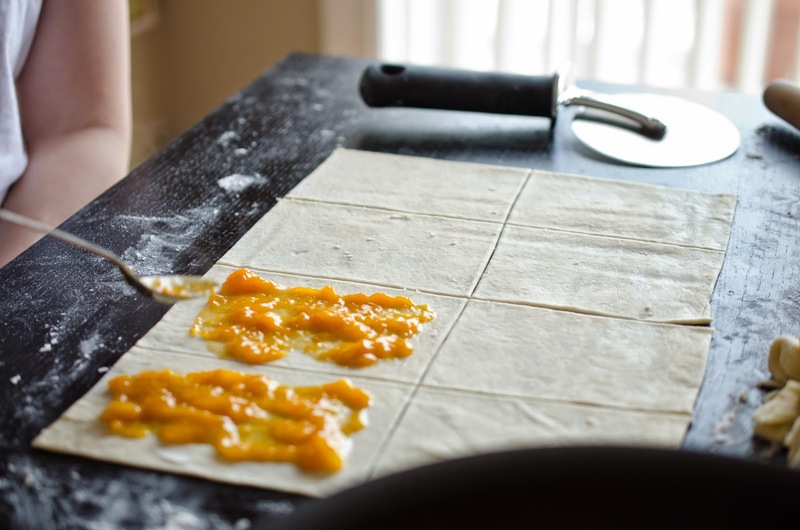 For that reason, my apricot filling for this recipe needs a lot of sugar. 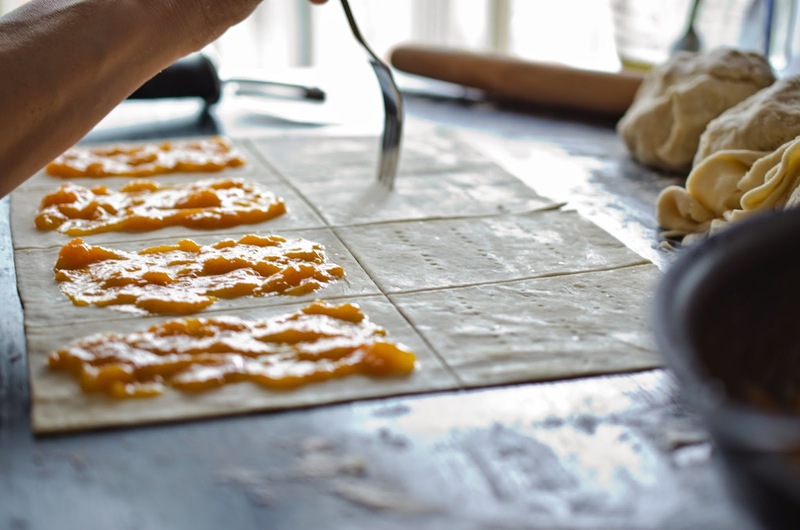 If by chance you have an apricot tree, which I do know a couple of people who do, or you have access to ripe apricots, then this recipe is for you. It can be changed to suit your purpose. 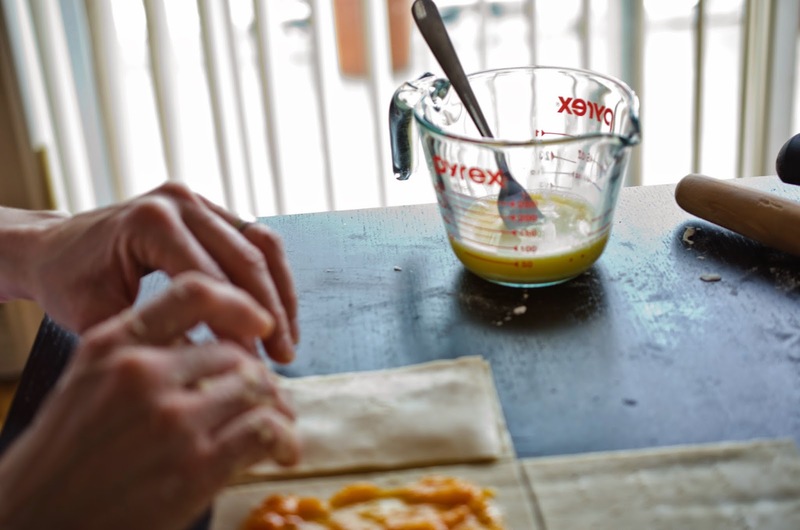 Another great aspect of this recipe, is you don't have to fill these pocket pies with apricots, you can use whatever fruit you want (or use jam instead of making a filling). A special thanks to my Haley girl for photographing me while I put these together. 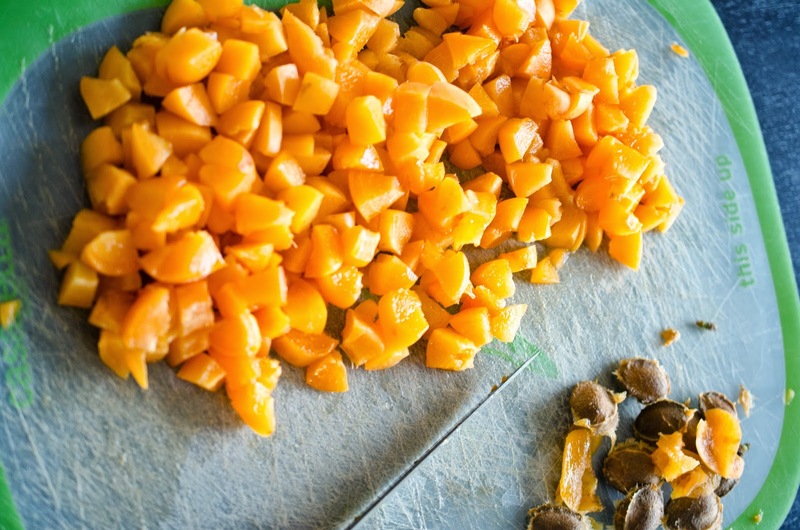 Wash, removes pits, and dice apricots into 1/2 inch cubes. Place a medium non-stick skillet over a medium-high flame. Add all the filling ingredients at once. Reduce heat to low, after mixture comes to a boil. Cook and reduce the sauce until thickened. 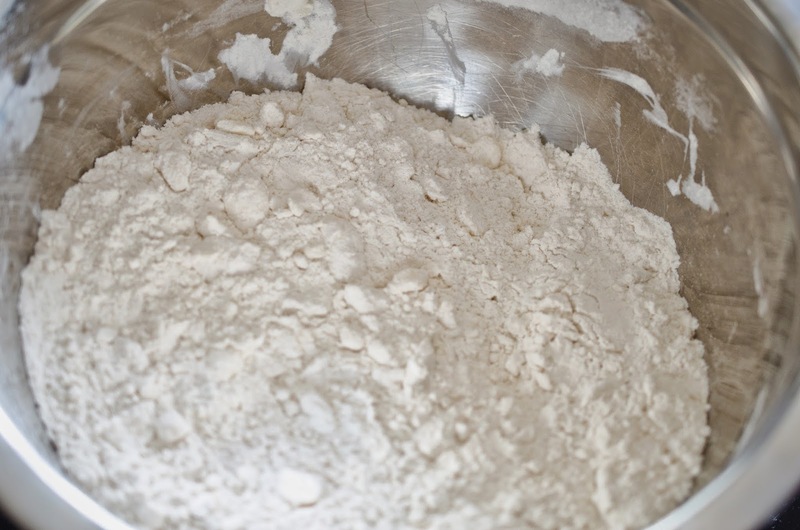 Add flour, salt, and baking powder to a medium size bowl. Mix dry ingredients. 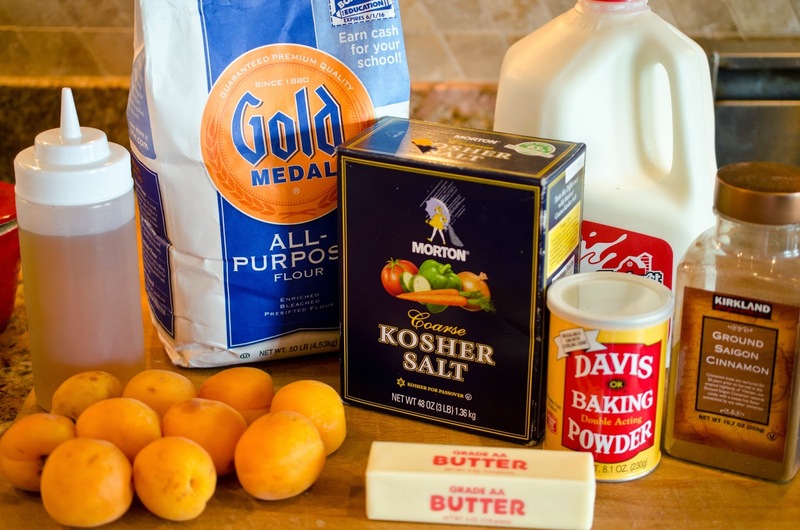 make butter and flour globules. 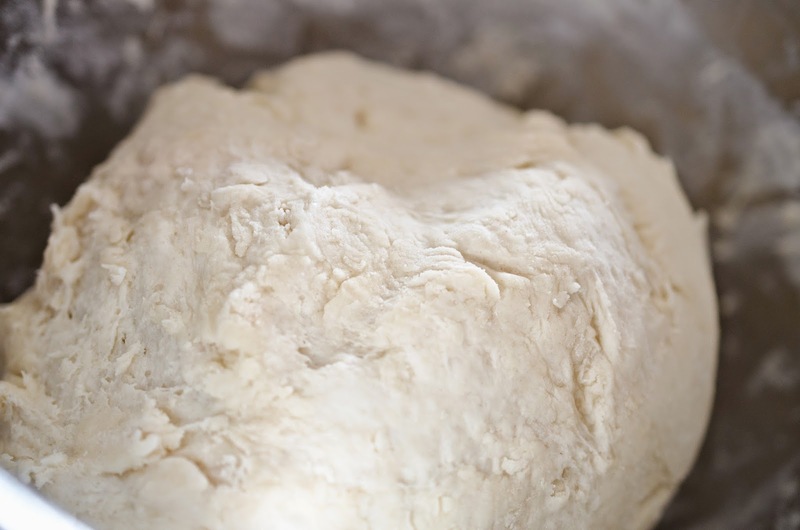 Add milk to dough and knead for 20 turns, until a ball forms. Divide dough into four balls. Roll out each ball on a floured surface. Roll to 1/8 inch thickness. 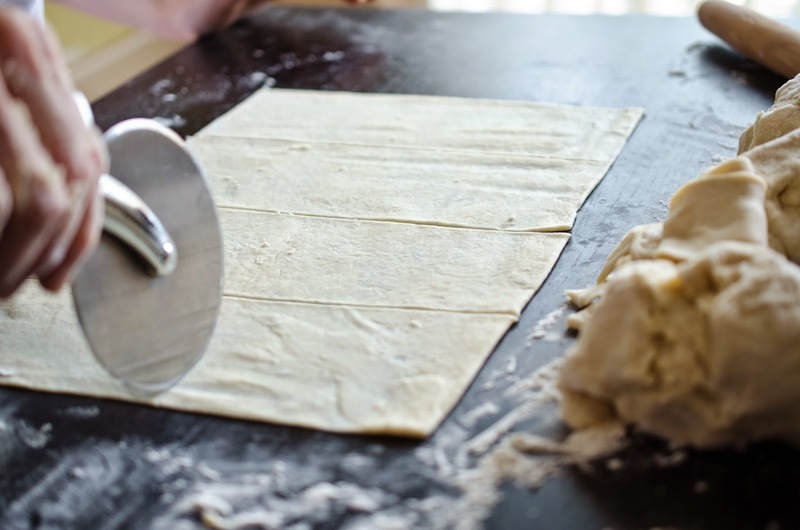 Cut dough with pizza cutter and rolling pin as a guide to get a straight rectangle. Cut into four wide strips vertically. Cut once horizontally to create 8 rectangles. Spread 2 teaspoons apricot filling on bottom four rectangles. Dock top four rectangles with fork. 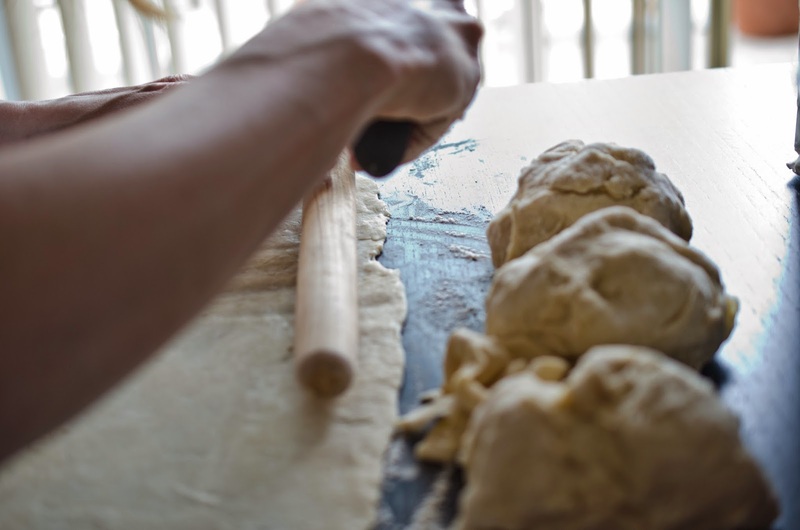 Poke holes in dough with fork. Mix egg and water in a bowl or cup to create egg wash. This will be our glue. border of all the rectangles. look browned on top. The pocket pies are par-cooked. The rest of the cooking will take place in a toaster oven. 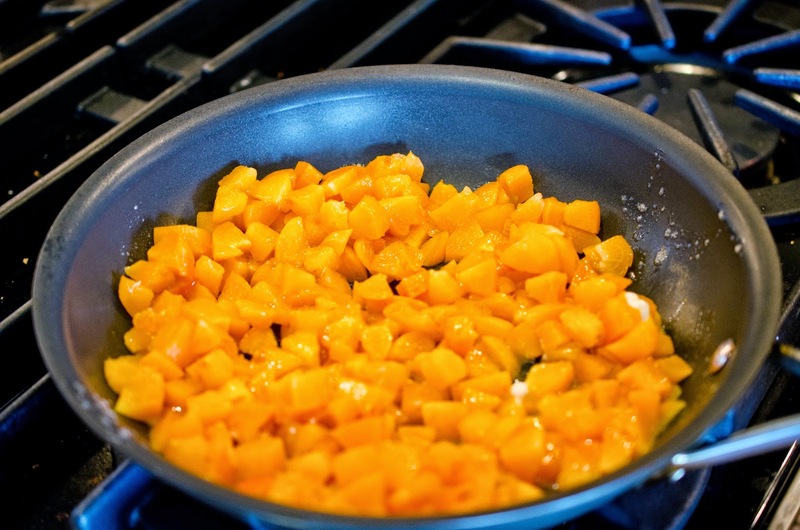 Place a medium non-stick skillet over a medium-high flame. Add all the filling ingredients at once. Reduce heat to low after mixture comes to a boil. Cook and reduce the sauce until thickened. 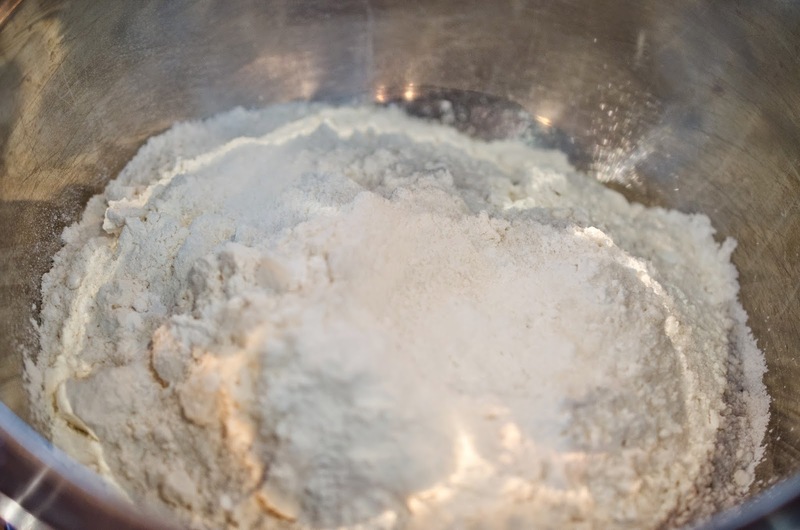 Add cold butter to flour mixture. 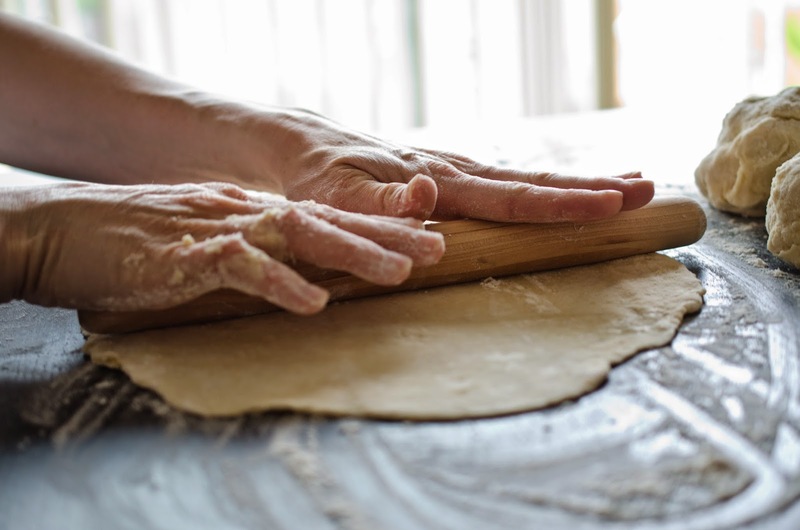 Using your fingers lightly mix the flour and butter together to make butter and flour globules. 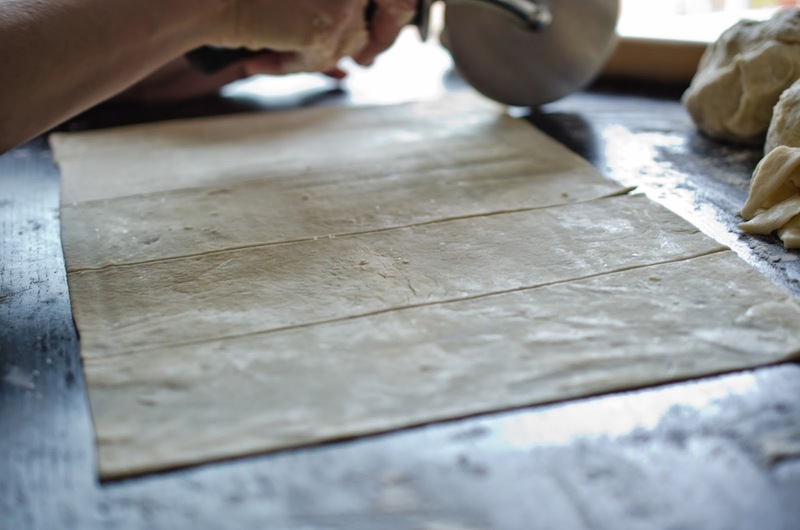 Add more flour if needed to make less sticky. Dip your finger into the egg wash or use a pastry brush to brush/rub egg wash onto outside border of all the rectangles. Place docked dough rectangle on filling and press edges. Push from middle out gently, to remove air pockets. 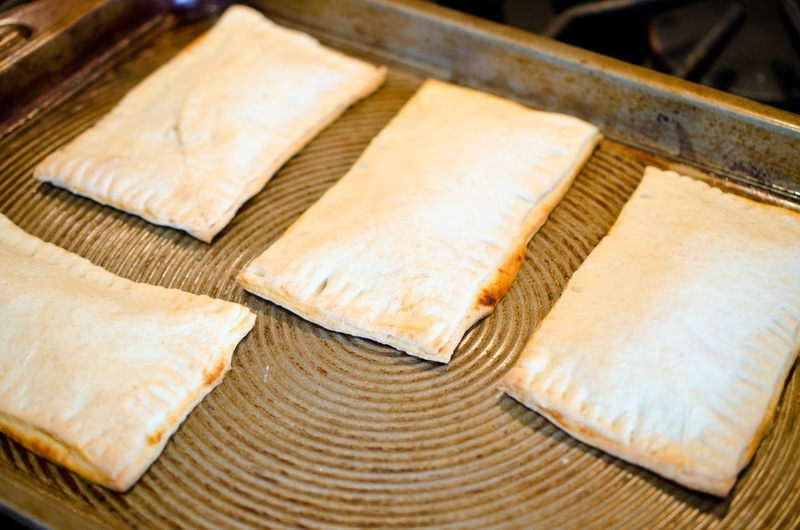 Bake pocket pies on an un-greased sheet pan for 15-20 minutes. The pocket pies should not look browned on top. The pocket pies are par-cooked. Toast pocket pies in toaster oven before serving.